Annual Celebration Features Live Performances, Children’s Art Workshops and More! 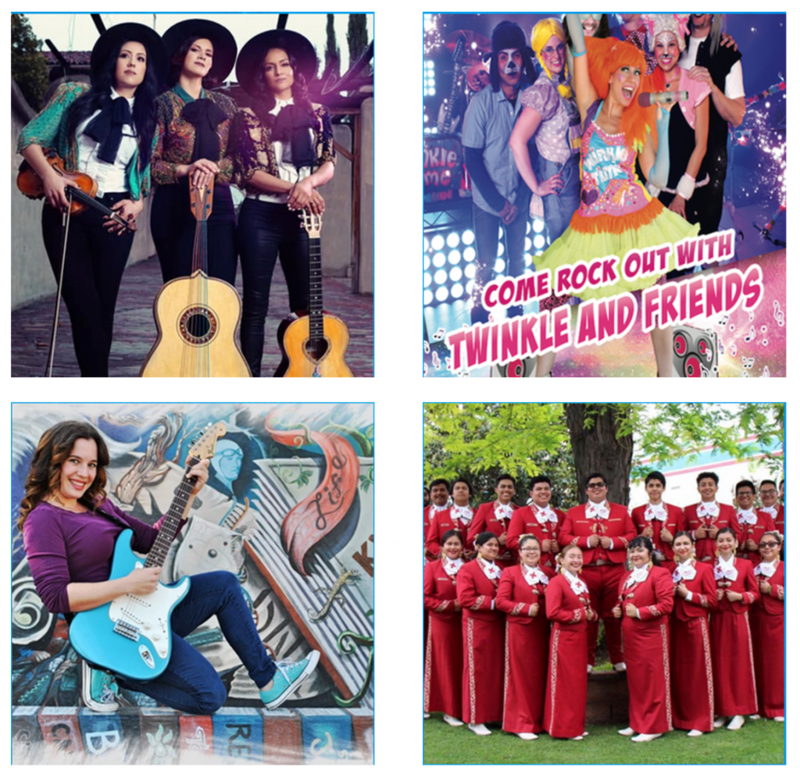 Grammy-nominated Latin music favorites TRIO ELLAS, kindie pop sensation TWINKLE TIME and Colombian children’s music singer NATHALIA will headline the 8th OC Dia del Niño Festival, which takes place on Saturday, April 13 and Sunday, April 14 from 10am-5pm at OC Fair & Event Center in Costa Mesa. This special free family festival features two full days of live music, dance, circus workshops, engaging children’s art activities, community resource booths. 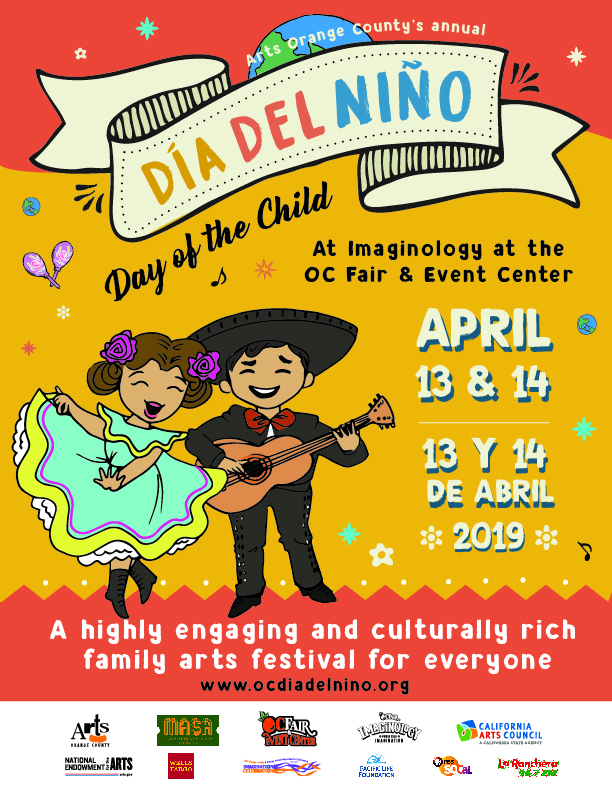 The OC Día del Niño/Day of the Child Festival is a featured event of Arts OC’s 34th Annual Imagination Celebration, a month-long countywide festival of arts for families and children, and part of the OC Fair’s Imaginology, which takes place April 12-14. As part of Imagination Celebration, Día del Niño provides fun and free arts activities and experiences that can be enjoyed by the whole family and children of all ages and skill levels. The Dia del Niño stage will feature performances by professional artists, local arts organizations, schools and community groups. 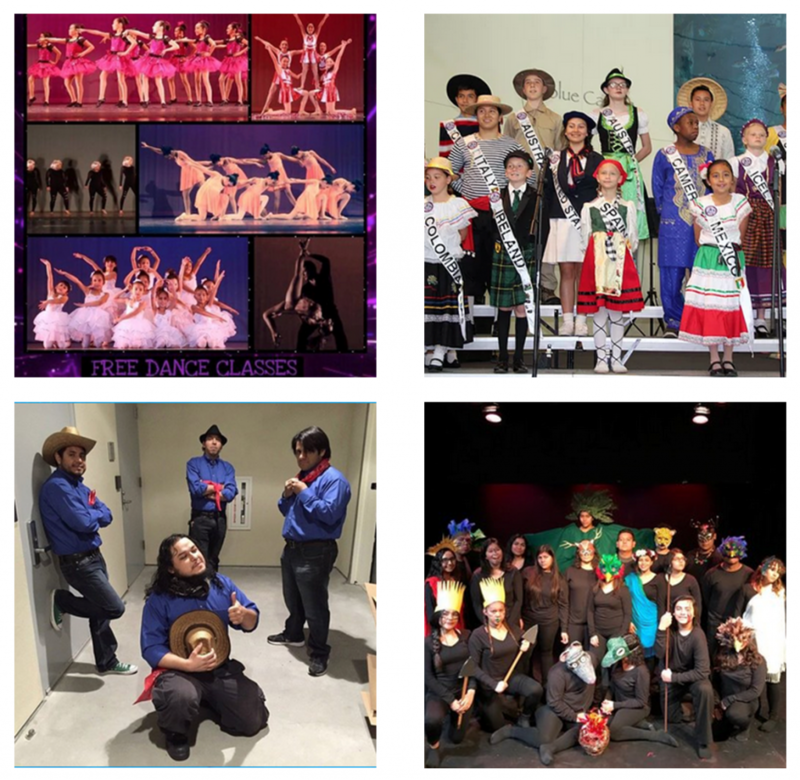 This year’s festival includes performances by Claudia de la Cruz Flamenco Institute, Mariachi Los Santos, Emily Bahena, Ballet Folklorico Fraternidad De Bolivia, Calle 4 Cumbia, Mariachi Juvenil Herencia Michoacana, Club Tecuanes Puebla Danza del Jaguar, Estudiantina Angeles de California, Trishala Parthasarathi Indian Dance, Orange County Children’s Therapeutic Arts Center, Santa Ana High School Theatre Arts Conservatory, Save Our Youth Music and Dance, Club Oaxaca USA Mojiganga, Ballet Folklorico Pilares de Mexico, Rogue Artists Ensemble, RHYTHMO Mariachi Kids, The Learning Spot Dance Academy and the International Peace Choir. The event also features interactive circus workshops by the acclaimed FERN STREET CIRCUS, and workshops in painting, music, dance, animation, mask making, clay, beadwork, puppetry, aerial and indigenous instruments by South Coast Rep, Claudia de la Cruz Flamenco Academy, Active Learning USA, Freedom Aerial, Timoi, Andrew Cervantes, Moises Vazquez, Dino Perez, Frank Ordoñez, Adriana Martinez, Manuel Cortez, Israel Barrios, Marisol Cardenas, Martin Espino, Janet Inez Adams, Romina Perez, Jesus Mora, Maria Reyna, Yenny Bernal, Maria Elena Cruz and Jeremy Hohn. Grammy-nominated Trio Ellas has been making waves with a unique sound that comes from traditional mariachi roots tempered by the melting pot of musical styles and genres. Described as “Lady Gaga for kids,” two-time Global Music Award-winner Twinkle Time deliver an all-out kindie pop extravaganza with elements of EDM, hip-hop, pop and children’s TV all rolled into one. And Colombian-born Nathalia’s catchy cumbia-based bilingual music for families is sure to get you on your feet. The acclaimed Fern Street Circus combines physical and theatrical skills to transcend barriers between people of varying cultures and languages The Fern Street Circus will give children’s workshops and demonstrations throughout the day at the Circus Ring. Día del Niño/Day of the Child is a traditional family holiday celebrated in Mexico in April that honors children, celebrates their importance in society and promotes their well–being. The theme for this year’s festival is A Celebration of the Americas (Celebración de las Américas). Schedule subject to change. This year’s Día del Niño Festival will coincide with the last two days of OC Fair & Event Center’s Imaginology celebration for double the family fun! OC Fair & Event Center is located at 88 Fair Drive, Costa Mesa, 92626. The event is free and open to the public, and is easily accessible from the 55, 405 and 73 freeways, and the OCTA 47, 55 and 178 bus lines. Event parking is $9 and includes Imaginology. The 2019 OC Día del Niño Festival is presented by Arts OC and Media Arts Santa Ana (MASA) in conjunction with OC Fair & Event Center’s Imaginology. 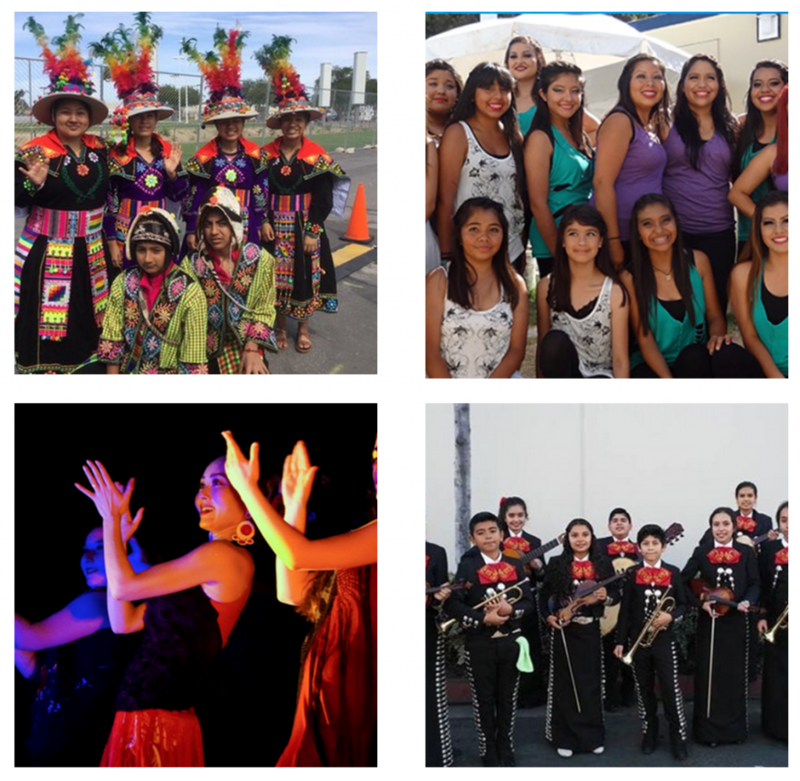 Support for OC Día del Niño is provided by the National Endowment for the Arts, California Arts Council, OC Fair & Event Center, Wells Fargo Bank, PBS SoCal, CalOptima and the Pacific Life Foundation. For more information, visit www.ocdiadelnino.org or email emiller@artsoc.org.